It feels fitting that on a failed fast day I should write about the wonders of intermitten fasting. Today I tried, and failed, to adhere to a 1-day fast. Last week, I succeeded. Whatever the outcome, putting an ounce more conscious thought not only into what I eat but when I eat it, has proven thus far a very interesting experiment in nutrition, spirituality and the inner workings of the mind. It started around two months ago. Correction, it started about ten years ago when as a junior-high school student I first participated in the 30-hour-famine with my classmates, part of a campaign to raise awareness of hunger in places where they never choose it. It was then, for the first time, that my young brain awakened to the idea that food deprivation, in this limited manner atleast, would not immediately destroy me. I sipped tea and drank juice while my belly grumbled in hunger, yet beyond the noises and strangely welcome feeling of emptiness, nothing bad or bizarre happened. I was OK, and I had survived 30 hours of not eating quite easily. Coming from a traditional Polish home where life revolved around food, this was no minor discovery. Since then I’ve dabbled in short fasts here and there, occasionally using the exhaustion of international travel and jet-lag as an excuse to explore that vast feeling of emptiness a little further. But it wasn’t really until two months ago that I began incorporating intermitten-fasting into my daily schedule. And I mean incorporating, as the calendar event is called « FASTING DAY » with location labeled « IN MY BODY » and time set to « ALL-DAY ». Sounds nerdy, I know. Under notes I’ll occasionally remind myself to « BUY ORGANIC JUICE AND VEGES FOR BROTH » too. These fasting days, even if scheduled, haven’t been very regular on my part, largely due to my awkwardly trying to time them right along with my active lifestyle, commuter cycling and busy happenings all which require energy – now. I’ve done roughly 6 in 2 months. 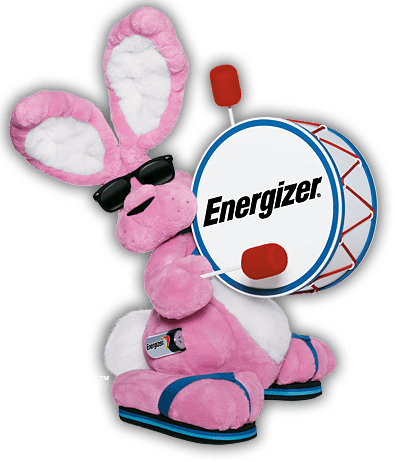 Just that the 1-day fasts have the tendency to take out that certain shezam from your step, and you can feel your body slowing down and moving into energy conservation mode, kind of like an energizer bunny going into slow motion. And that, actually, is kind of the point. I’m young, energetic and interested in a zillion things so it makes sense that I run around all day doing stuff all the time, right? Wrong. Oftentimes I’d give anything to take the proverbial chill pill and just relax a little. Fasting is one of the best ways I know to force myself to take life a little bit slower. Take the time to notice details, observe people or take an afternoon nap. Right around the after-breakfast and before-lunch time is when I can quite litteraly feel my body step down from level 1 « Speedy-Gonzales » to level 2 « Zen-Gal » . And spending more time with Zen-gal is one of the greatest benefits of a 1-day fast. I eat and drink healthy already, but a 1-day fast is exactly the reality check I need to make sure my body is getting the best nutrition possible. It’s quite a simple reaction to deprivation – give me no food one day and I’ll make sure the food on the following day is the best quality, the richest and most wonderful food ever. I’ve just cleaned out and rested my system for 30, maybe even 40 hours! I’m not about to pollute it again so soon. For the same reason you’re extra careful not to spill anything in a sparkly-clean kitchen, when temporarily deprived of it you’ll likely take a long, hard look at the quality of the food you’re eating in the first place. Benefit 3: Think about it – you chose it. But what about those who don’t? It’s food for thought, this fasting business. Often, when my belly gives a particularly eager lurch around 6pm on fast-day I wonder what it’s like to face hunger and actually not have enough to eat. I’ll often be low on groceries during the week and won’t even notice it; not without reason fasting days are usually my grocery shopping and stocking-the-shelves days. I mentally prepare a few meals ahead and admire the beautiful colours of my fresh fruits and veges waiting for me in the basket on the counter. Being hungry is a hard feeling to shake and it saddens me to think of those who are constantly experiencing this and would give anything to enjoy the feeling of a full belly. My hunger is quickly put into perspective for what it is : the effect of free choice. Benefit 4 : Physical. Of course, it’s great for your body! Although a 1-day fast, in my case usually ranging from 30-40 hours, is not long enough to fully clean out and detox my system, it still has many physical benefits. Consider the following : I’ve noticed that any minor wounds and muscle pain dissapate faster when fasting. My skin becomes smoother and my whole body relaxes. And even though I haven’t eaten a whole day I still have to go to the bathroom the next morning meaning, well… I guess my intestines were still working on the inputs from before! All in all, it’s great to give my body a chance to catch up, self-heal and, hopefully, rest a bit too. I’ve also read that fasting, just like a calorie restrictive diet, activates anti-ageing cells in our bodies. Kind of like nature telling us to take a step back and let her take the wheel for a change. After all, it’s not without reason that we avoid eating when we’re sick – our bodies do a great job healing on their own – no food required.